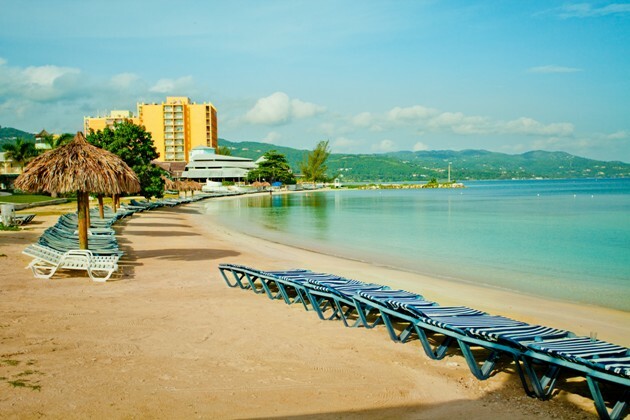 Your all-inclusive Sunscape Splash Beach Resort day pass begins directly from the Montego Bay cruise ship pier. 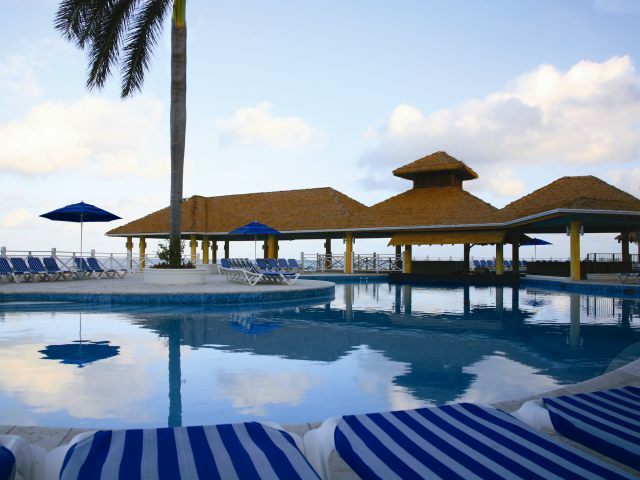 Amidst swaying palms, shimmering water and beautiful beaches, the all inclusive Sunscape Beach Resort & Spa offers something for everyone. I really enjoyed my time at Sunscape. It wasn’t super crowded, had all the amenities, the food was good and the service. 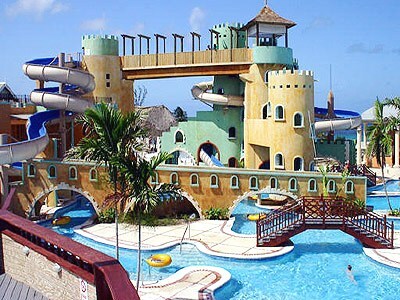 I would definitely go to this resort again. Our experience was great! The website, guide and driver were . From the moment we stepped off the ship , to easily locating our tour guide and the bus that arrived within minutes to drive us to the resort. The resort was beautiful!! The workers were friendly and very helpful. One of our grandchildren had a minor medical issue and the staff was extremely helpful in obtaining a solution. I would definitely recommend this tour and would love to return one day. The close proximity to the Carnival ship was an added bonus as we had 5 children with us who weren’t interested in a lengthy bus ride to the fun day awaiting us . So pleased we learned of this adventure. Great experience! Highly recommend - esp Sunscape resort. Our experience at your resort was a very pleasant one! My only complaint would be most of the beach chairs were already taken by people staying at your resort by the time we got there, so maybe adding a few more chairs would help! Overall, we had a wonderful time! I would love to give a shoutout to Evoy for calming my nerves a bit before I went out on one of the wind sailing boats with a guide. It’s something I had never done, and he could tell I was a little nervous about it. He was a complete gentleman and assured me I had nothing to worry about! I would like to thank you for a perfect day! Our driver "Cap'n Kirk" was fun, informative, and punctual! Once we arrived and completed "orientation", we took a stroll and admired the grounds. Then the most Perfect Pirate Proposal question was popped on the Jetty overlooking the ocean. "She Said Yes" was heard throughout the land! It was the perfect horizon for a soak in the hot tub, and a dip in the pool! We then invaded the Pirate Ship (as two of our crew were in garb for just such an occasion). We explored the ship filled with Pirate Legends, then our crew took command of the helm. Frolic and merriment was had in the sand and sea. We enjoyed many a libation from The Tortuga Beach Bar (perfect name)! The barkeep was superb and had the drinks flowing, and carousing was had by all me hearties. We raised a healthy appetite, and pillaged the mess hall. Mighty fine Goat Stew, Jerk Chicken, an assortment of fruits, along with all of the other delicacies were consumed. With our bellies full of rum and meal we made haste to the gift shop, for many a trinket, and it was back to the transport as the day came to an end. 6 out 5 Stars is to be given to this mighty fine establishment. Beware! 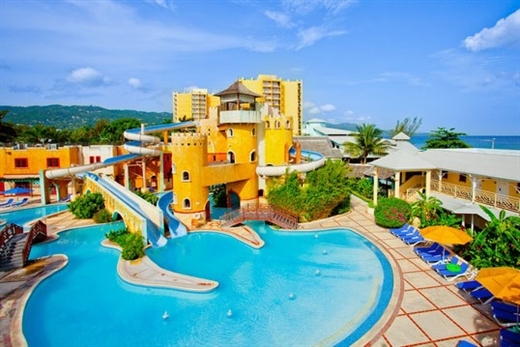 The scurvy pirates will invade Jamaica's Sunset Splash Resort another day! We had a wonderful time. The only drawback at the resort were a lack of lounge chairs at poolside. We did have a large group, but even several couples not in our group couldn’t find chairs. Other than that it was clean, good food, and very enjoyable. We enjoyed the day. Very nice. It was a wonderful day! We would definitely book with you again! The driver was awesome. Experience was good....Second time coming. The time and people at the resort were great. Great experience with the driver, hotel staff and especially the bartenders. We had a great time on your Sunscape Splash Day Pass excursion on 3/21/2018. After 10 years of cruising, this was our 1st non-Carnival led excursion in Montego Bay, Jamaica, but won't be our last. .Your website was easy to use; clear and accurate--and your company had great reviews. The resort was as advertised: beautiful, clean, spacious & plenty of seating. I would have liked having some upright beach chairs on the beach &/or by the pool rather than all full recliners. As I'm 70 yrs old I doubt I'm your target audience--rest of my family was fine with the seating. When we first arrived the lazy river & slide were not open, but within 1 hour + were up and running, so teenage granddaughters were happy! Our only other complaint was that the instructions when we arrived were either vague or we didn't hear them, so we were not sure what bars & restaurants we could use. After finding another staff member to talk to we were very pleased with our choices. My daughter & granddaughters ate at the Grill & liked the food. My husband & I ate at the buffet & were amazed. by the variety of dishes. The food was hot, labeled, plentiful & delicious. Even one granddaughter came over to sample desserts. All in all the best buffet I've had on an excursion. The bartender finally told us just to bring our own cups over & he'd fill them as it was all-inclusive. Our driver both directions was prompt, professional and pleasant. Couldn't ask for much more. In summary we had a great time with only minor issues which were mostly solved, everyone was friendly and helpful, & we'll definitely come back & recommend your company to friends Thanks for everything! We had a great time! Very pretty location, nice beach area, pool, amenities. Staff was all friendly. My husband enjoyed the all inclusive drinks & my younger daughter lover the water slides & organized relay run on the beach. My older daughter took advantage of the day spa. We all had a relaxing, fun day. We spent a lovely day at the resort. Wouldn't change a thing except more time on the island. OMG we had the BEST TIME ever, I am taking another cruise next year and I am coming there with my granddaughter. The place was beautiful. Thank you. I do have to say one thing I found a little disturbing. The Slide / Lazy River,, there were some guys that was being really obnoxious to everyone, the staff and guess. Made us very unconfortable. And I felt someone should have addressed that. And the NACHOS were sooooooooo gooood.. But the girl serving food at that station,, didn't seem want to be there. The driver was great, resort was great. I don't know how much control you have over the port pick up but it was unorganized and a bit chaotic. 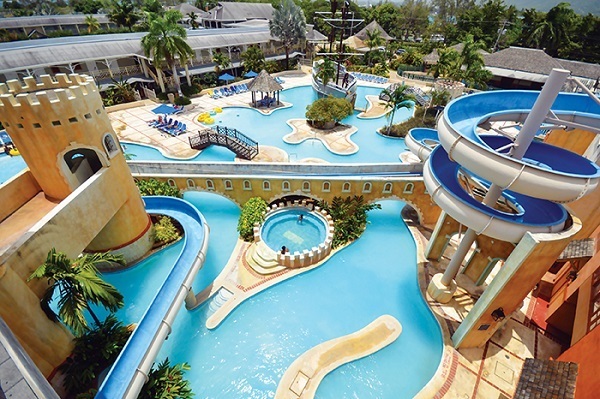 Jaital was a great and easy way to book day passes to the Sunscape Splash Resort. 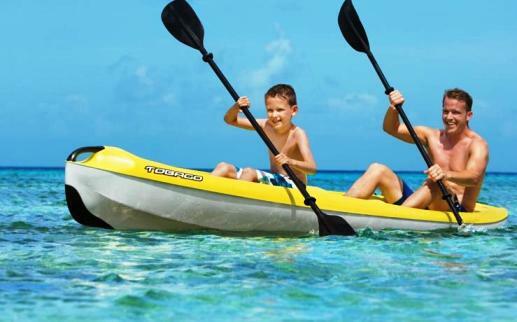 My family and I were cruising on Carnvial from Galveston to Jamaica and thought a day pass would be the best for us to experience the beach and snorkel. The staff at Jaital and at the resort were very friendly and helpful. Also, the resort was clean and the food was delicious. I have one MAJOR complaint. Upon arriving at the resort my family and I headed straight to the snorkel counter (which is operated by a company other than the resort) and asked to snorkel. The advertisement for the resort included snorkeling, which is the ONLY reason I booked the resort. At the snorkel counter, the staff informed us that snorkeling is not included, that the only thing that is included is a supervised snorkel charter that is scheduled for 1:00 pm that day. Even though we were disappointed that we could not get the snorkel gear and snorkel the entire time while at the resort we agreed to meet back at the counter and go on the guided tour. We arrived back at the counter at 12:45 ready to snorkel. The staff at the counter informed us that the weather was too bad and that the tour was cancelled. I do agree there were a couple of dark clouds, but it was not raining and the ocean was still except for the small waves that gently rolled in occasionally. Also, we saw a Carnival excursion boat snorkeling not too far away. In my opinion, the staff were lazy and did not want to take just the 4 of us out on the boat (it was a slow day and we were the only ones to sign up). The staff kept pushing the guided tour that we had to pay an additional $40 per person for that left in an hour. So, why was the weather bad for the free tour, but not the paid tour????!!! The staff would not even let us borrow the snorkel gear so we could snorkel in the bay close to the snorkel counter. I was so upset and my family was extremely disappointed!!! The only reason we got off the Carnival ship in Jamaica was to snorkel!!! I went to the counter at the resort and told them my story. Sanji at the front desk was very helpful and she called Santana to explain what was happening. I was told that Santana would make everything right once I returned from my vacation. My family was so disappointed and I was determined to make them happy, so we went to the gift shop and paid $24.82 for snorkel mask so we could share the mask and snorkel for the day. My point is, do not put that something is included in a resort package if it is not.... It can ruin someone's day. 100% perfect the resort was welcoming the driver got us to the site quickly without delay and the resort exceeded our expectations. We enjoyed our package for the most part. The cost was a little given that the food included was lacking. Everyone involved was very kind from start to finish and the area was a wonderful place to spend the day. Again, for the cost, the only part we didn't enjoy was the food. There weren't many choices and it was that good. Everyone was very friendly. We really enjoyed all of the food, drink and activities at the Resort. The Resort as well as the beach is very beautiful. We will do it again if we return to Jamaica. We had an amazing time! Our driver was so great and he ended up being the one who picked us up as well. The resort was great and the whole process was easy. Jaital was an amazing experience. My husband , and our four friends went together. We had the best experience there. Everything from the service, drinks, food, to the environment was absolutely amazing!!! 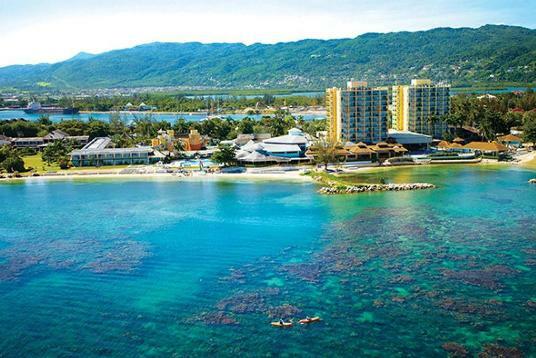 I would recommend it to anyone that is coming to Montego Bay. 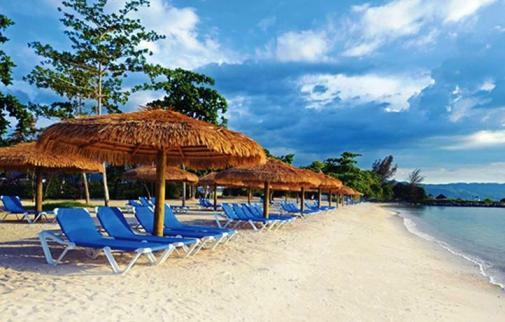 "Excellent tour of Montego Bay!" We arrived in Montego Bay aboard Monarch (Pullmantur) and was not expecting Vincent, our driver from Jaital. With all kindness took us to the chosen destination, the Sunscape Splash Resort where we were attended with all kindness in this all iclusive for a day. Very good day in Montego Bay and excellent walk around town thanks to the warmth of Vincent !!! Our experience with Jaital was great! 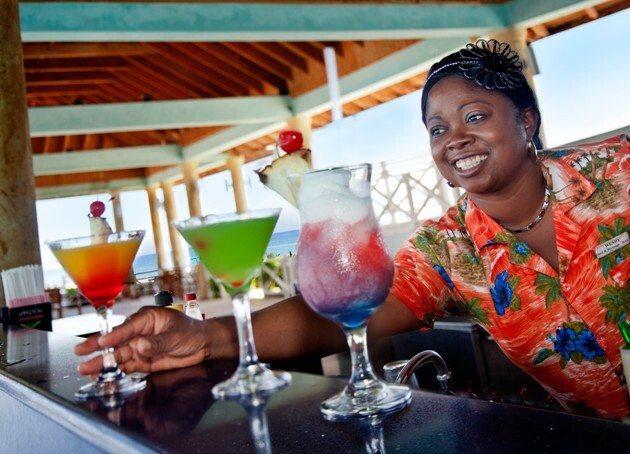 We have a great time in Montego Bay, and your service was better than expected. We enjoyed Sunscape Splash Resort, nice place and excellent service! We wanted to remark the service of Vincent our driver. He was so kind and friendly that we loved him!! The experience was wonderful from the beginning to the end. We were picked in a nice car and not a bus. The driver was friendly and talk able. The resort was huge and clean. I have nothing bad to stay about our experience. Thank you so much!!!! Amazing time! The whole experience from booking to riding back to the ship was flawless. Our experience was awesome! Our driver was professional, friendly and knowledgeable. We decided to leave the resort early and head back to cruise ship. So we called him and he came right back and picked us up earlier. We would definitely book again using Jaital! Thanks for a great experience! We had a wonderful time. The experience went smoothly with everything. It was our favorite part of our cruise. 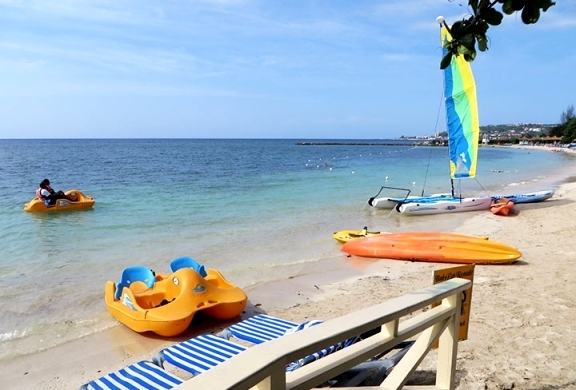 Our experience in Jamaica was amazing.Sunscape was a great ,beautiful resort and we had the best time.Our driver was on time and was very pleasant and picked us up right away when we were done.Everything lived up to what was advertised.We will call on you guys again for our next cruise excursion. Had a great time. Loved the water aerobics! There was some construction on the water slides which I understand. Lockers and showers were very helpful. Food was fresh, but some of the meat was dry and overcooked. Drinks were nice. Had a great ride on the catamaran!!!! I have nothing but great things to say about our excursion to Sunscape Splash Resort. We were met promptly by our driver and loaded in a van to our destination. We were given a pickup time and our drivers were there on time to return us to our ship. Everything was very organized and professional. We enjoyed our day at Sunscape Splash very much. Would not hesitate to book with Jaital again. We had a great time!. The guys working the boat were very helpful and courteous. The representative sent to pick us up was polite, professional, and punctual. The resort was lovely, relaxed, and not crowded. We will definitely recommend Jaital to others. Loved it all!!! The driver was super friendly and helpful, the resort was awesome with very friendly employees. We will definitely book with jaital again. No complaints at all! Thank you for a great time! This was our first excursion booked outside of Carnival Cruise so I was a little skeptical. We paid online and was concerned about that as well since we really had to trust whomever was on the other end. We arrived on our cruise and Jaital was waiting for us. The folks handling transportation guided us and really took great care to get us to Sunscape Resort. Attendants and drivers were very nice and courteous making us feel at home. Once we arrived at the resort we were greeted by a manager who gave us some information and then we were turned loose to enjoy the resort and beach. The drinks were good as well as the food. Well worth the fee for a day pass. I really enjoyed the resort. Very nice and well maintained. Very helpful staff. Both of the drivers were very polite. 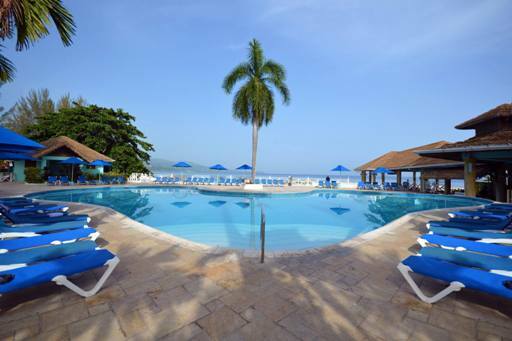 I was extremely pleased with your service while visiting Montego Bay. Our driver was very professional and prompt. The van we rode in to our resort for the day was clean and air conditioned. I would definitely use Jaital again. My experience with Jaital went smoothly. From researching on the web to booking the resort, the pick up and return back to port. The Jaital representative and the driver/guide were courteous timely and friendly. I had a truly enjoyable and memorable time at Sunscape Splash Resort. It is a beautiful resort. So much so I have recommended Jaital for booking non cruise line excursions to several friends. Thank you for making my day in Jamaica such a great experience! I only wish it was longer! I will defintely use Jaital again! We booked the Sunscape Splash Resort Day Pass on a recommendation from a friend, and we are glad we did. From the moment we met our driver, everyone was very professional and friendly. After the short, five minute drive from the port, the resort was very clean, the food was great and the drinks were excellent. The only recommendation we would give would be to make the rules of the activities clear on the webpage. We thought we could get snorkels free of charge, only to find out that we could only snorkel at certain times with a group. Unfortunately, it was raining during the available times, so we didn't get to snorkel during our visit. Also, it would have been helpful for our resort guide to tell us where to go to find out about the extra activities as we arrived at the resort. All in all, it was a fun, relaxing day on the beach that we thoroughly enjoyed. Our experience with Jaital was excellent. We were disappointed in Sunscape Splash Resort Day Pass as was everyone else in our group. It was ok. I will definitely use Jaital again when booking an excursion. We had a wonderful time at Sunscape Splash resort. We did have a delay entering the park because the driver took our receipt. He brought another group to the resort and we obtained the paperwork to enter the resort. Everything was perfect after the receipt mix-up. We loved the Sunscape Resort. Thank you very much. Your service was excellent, and the transportation vendor was timely, the vehicles were clean and the resort was as expected. I would not hesitate in using your services again and I will recommend you to friends in the future. We had an awesome trip. The driver was amazing and really made the ride to the resort fun. The resort was great. Using your website was easy. We would definetly use Jaital again when going on excursions. We liked it and everyone had fun! Food was plentiful and good; drinks were delicious, the kids enjoyed all the pools, slides and beach. Our experience was alright. The driver was a great great guy, very fun and helpful. However most of the staff at the resort was not very helpful. We had no instruction on how to get signed in, the ladies taking our money were not very friendly. Getting a locker was quite difficult because we would ask how to do so and staff would just point and walk off. The bar tender at the adult pool would only give our group of three one drink, but that was fine we just went to the bar by the stage where we did find a great bar tender. The beach was extremely and one individual in our group stepped on broken glass. Aside from that the food was pretty good and the pool was pretty nice. It was not a bad experience however I would not make it a destination in the future. Our experience was awesome and we will not hesitate to use your services again. It was confusing inside the terminal trying to locate where we need to meet the Jaital rep. Once we got past that however it was smooth. My only disappointment was lunch. Lines were long, service was slow. We missed out on the game jerked chicken a couple of times and gave up due to time constraints. The water park was nice. Facilities were clean. Staff were friendly and courteous. We would book this again in a heartbeat! The driver was good and provide a lot of info. The resort was nice, my son loved the water park and the beach. The experience was great, the service was excellent and the prices were phenomenal. I will definitely book with jaital again in the future. Thank you for making our experience an unforgettable one. I enjoyed every aspect of the resort. Our experience with Jaital was five-star all the way around! We loved the resort, the bus and the drivers! We plan on booking through Jaital again next summer when we return! The experience was awesome. Great transportation, friendly and on time picking us up to go back to the ship. The resort staff was very accommodating. The bartenders were friendly and funny at the bar under the stage pavillion. We truly enjoyed all the water activities and friendly staff. Great experience. Easy to find driver. Good fast transport. Resort was safe and as expected. Jerk chicken was awesome. Water activities were great. We would consider visiting the resort again. We really enjoyed the resort. The food was great as well as the drinks and all the amenities. We will book again on our next vacation and definitely tell others about your company. First off, your excursion was the cheapest I could find anywhere. Other companies offered the exact same excursion to Sunset Beach Resort but they could not compare in pricing so that was the first benefit. There was some confusion as to where to find the driver of the shuttle van. We asked the information desk and the lady seemed puzzled that we were looking for a Jaital Van. She asked several other staff members about our meeting place and they all seemed confused. She finally called the number on the confirmation sheet and was able to find out that the driver was on his way and that we needed to wait across the street to wait on him. We waited with a few other groups that were heading to the same place as us. About ten minutes later, a nice man showed up and started loading all of us on the shuttles to the resort. The ride only took 2 1/2 minutes. That was super fast but mainly because the place is so close. I was looking forward to seeing more of the town but that will have to wait until next trip. The resort was not what I expected, it was much better. Your pictures are great but being there in person was simply amazing. It was my favorite stop on our cruise!!! I loved the snorkeling but you have to go out a good distance to see the coral and bigger, colorful fish. It was well worth the swim. My family really enjoyed the lazy river and the pools. My six year old spent most of his time in this area. The food was good but the drinks were better. I tried the Jerk Chicken and it was very tasty. Pina Coladas were flowing all day long. I wanted a frozen drink with bananas but couldn\'t get it at the bar closest to the grill because they said they didn\'t have bananas but that they would be getting some soon. I kept checking back and they never did get bananas. I went to the bar by the adult pool and they had plenty of bananas and they were able to make me a frozen drink with them. Respect Mon!!! It seemed that the bartenders were being lazy by not going to get the bananas. It\'s a beautiful place and I am so happy that we chose to visit. Your driver was right on time to take us back to the ship. Another short ride and we were back at the port. Thank you for your services! My excursion was great. The driver was punctual The representative was organized and very professional. The excursion was as exactly advertised. The resort itself was awesome and I definitely do it again. The transportation was good. The food was great!We had a terrific day! Will definitely use your service again! We had a wonderful experience with Jaital. Everyone was nice and helpful. Driver was on time picking us up from Sunset. We will use your company again. From the booking online to the taxi, to the beautiful resort, the amazing food and drinks, the friendly people, and the taxi back to the ship, it was all perfect!!! I also got engaged there!! We will definitely go through Jaital again!!! 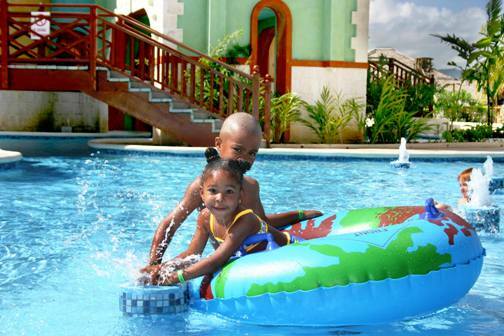 Thank you for providing this beautiful all inclusive excursion at a very affordable rate! Sunset Beach Resort was a great experience overall. The staff at the resort was excellent. The food was good and the pool was clean and relaxing. Thanks to Peter our driver, we felt welcomed from the moment we were picked up! This was the most perfect & seamless ship excursion Ive ever taken. My driver was waiting for me as soon as i got off the ship in a nice new van. He immediately drove me to the Sunset Resort which took all of 5 minutes from the cruise ship port. The resort was fabulous, NICE people there! At 4:30 my shuttle was again waiting on me to return me to the cruise ship. I would rate both your service & the resort both 10 of 10. Your booking process was easy and efficient. The driver to and from the terminal to Sunset Beach Resort was friendly and professional. We would be happy to book with you again, and I will let my friends and family know what a great job Jaital did. We had a great day at the Sunset Beach Resort and everything turned out exactly as you advertise on your site. From booking the excursion on-line, the instructions provided, obtaining our driver, checking into the resort and returning to the ship went without a hitch. We will definitely use your services again for any days we have in cruise ports. All was great – the drivers made sure we had everyone! The resort was fun….wish they would have had motorized water sports included. That said, we had a fabulous time! Thank you! My husband and I were celebrating our 10 yr wedding anniversary and we had a great time at Sunset Beach Resort . We loved everything from the friendly drivers to the nice beach . We would strongly recommend jaital to our friends . We had a great time at Sunset Beach Resort. Booking was very easy. Our driver was really nice and on time. Thank you!!! Our recent experience with booking through Jaital was fantastic. The driver was there to pick us up as we exited the cruise ship. He was very friendly. Sunset Beach was amazing and our family had a fantastic experience there. We had ample time to enjoy all the resorts features before we were picked up and transported back to the cruise. Everything was fantastic. The driver was excellent. I had left something important back in my cabin and he drove me back to the ship and waited on me to return and brought me back to the Resort. He went above and beyond. The resort was beautiful and the staff there was excellent. I run a travel agency and have already recommended you to my clients. When we return to Jamaica I will most definitely contact you again. Thank you for a memorable experience!!!! Yes, I had a wonderful time. Our driver was awesome. The bartenders were amazing, beach staff was great! Probably the best thing about my whole cruise.